Rwanda ceremony for mountain gorillas Jump to media player A ceremony has taken place in Rwanda, where 24 baby mountain gorillas have been given new names. Gorilla gets 'Bake Off' birthday cake Jump to media player A gorilla with a fondness for pink celebrated her 40th birthday at London Zoo on Thursday with a colourful gourmet parsnip, potato and carrot cake. Baby gorilla has lung treatment Jump to media player A baby gorilla, born by rare emergency caesarean section operation, has had treatment for a collapsed lung. 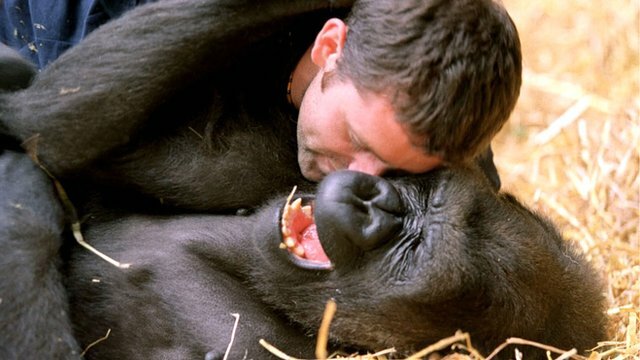 How to tickle a gorilla Jump to media player Keeper Phil Ridges describes how Emmie the gorilla responds when tickled. 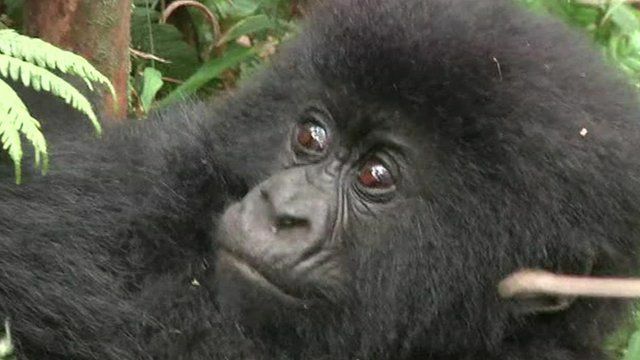 A ceremony has taken place in Rwanda, where 24 baby mountain gorillas have been given new names. The annual event is to highlighting the country's efforts to protect the endangered species, which is threatened by deforestation and poaching. The young gorillas, identified by trackers and researchers, were in their wild habitat nearby and not at the actual event.